SAVE 10% or MORE ON YOUR ELECTRIC BILL! The POWERGARD is new, innovative device that filters the supply voltage while improving the efficiency and power factor of the electricity consumed in a home by electrical appliances. It's purpose is to save wasted electricity in homes, condominiums, apartments, shops, restaurants, offices. As an added benefit or huge bonus, which is how we look at it, the POWERGARD is also a certified EMF filter device which effectively reduces unhealthy electromagnetic fields (EMF). Please educate yourself on the harmful effects of electromagnetic fields (EMF) so you can appreciate the true benefit to your entire family to reduce exposure to EMF. In our estimation the POWERGARD is a win win product. The way our house was wired the basement and hallway lights are treated as commercial space and we are charged at a higher rate for electric. We plugged in the PowerGard and our bill stabilized. During the summer with all the fans and air condition units running, some 24/7, you can expect to save enough to pay for you PowerGard in just one summer or less. The POWERGARD does not consume electrical energy. You can use it 24 hours a day all year round without increasing electricity expenses. The amount of energy that can be saved depends on factors such as the type of electrical appliances used (i.e. air conditioning, garbage disposal unit..), the amount of electrical used and even the location of the home. Homes near shops, restaurants and light industries, where voltage supply is unstable and may fluctuate, will see higher savings. In addition to extending the life span of appliance motors, the POWERGARD also reduces the reactive power generated by inductive loads. This helps utility companies by eliminating interference to the community power supply. The POWERGARD is a next generation device has been professionally tested and checked for compliance with International Safety Standards. How Does the POWERGARD Unit Work? The POWERGARD technology supplies that stored electricity back to the inductive loads of the house causing the home to require less electricity from the utility. 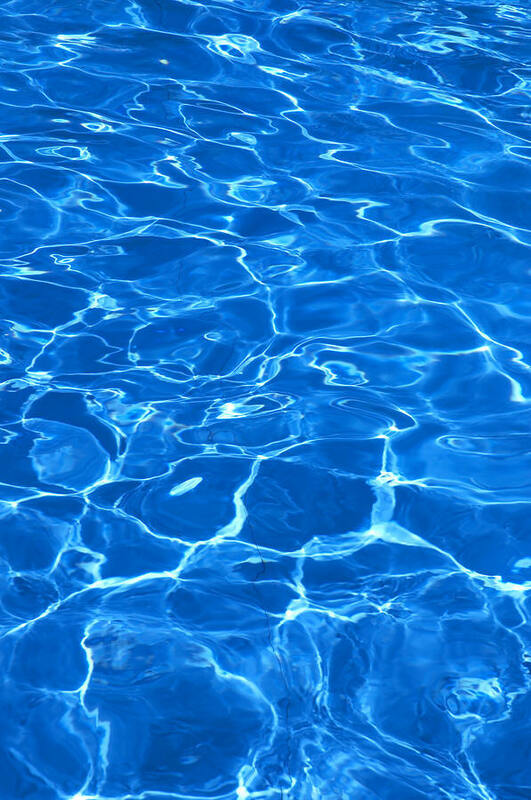 This causes a decrease in demand from the utility. When there is a decrease the demand from the utility, the meter slows down coinciding with less use of electricity. When you have already paid for that electricity, why waste it when you can store it, and reuse it again. This whole process is called power factor optimization. All electrical equipment and appliances become less efficient over time. As they age, they consume more power in order to deliver the same service, hence the higher electricity bills. Since there are many appliances in every household, each with different power and current requirements, this affects the voltage and current consumption. Unstable supply voltages increase in resistance due to wire size and poor power supply which may result in power loss. The POWERGARD is designed to compensate for those inefficiencies. Does the POWERGARD work in any home? 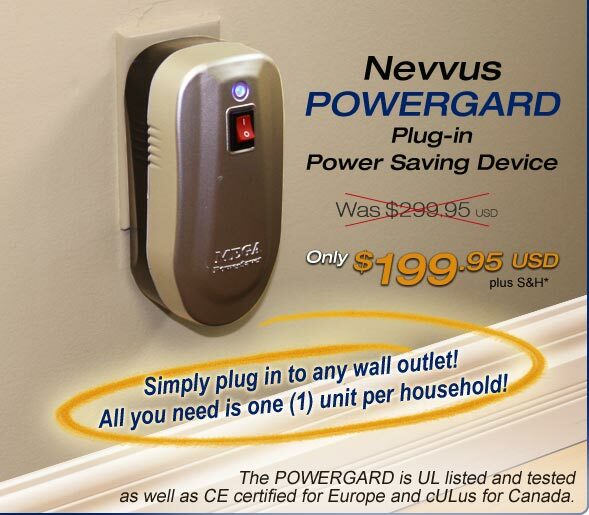 Yes, simply plug the POWERGARD in any power outlet and start saving money. The unit is specifically designed to work for . Can the POWERGARD negatively impact appliances? NO. In fact, by reducing the amount of power consumed by the household appliances, the motors in those appliances will run about up to 10% cooler; prolonging their life span. Yes! The POWERGARD is UL listed and tested, also CE certified for Europe and cULus for Canada. How much can I expect to save per month by using the POWERGARD? That depends on many factors; the size of your home, the amount of inductive motor load, and the amount you are paying per kilowatt-hour for electricity. It's not unusual for users of the product to see up to 10% and more in reduced consumption. How long will it take for the POWERGARD to pay for itself? Generally about 6-12 months although the same factors above apply; some will see the payback in 6 months and some in a year or more. Is the POWERGARD easy to install? Unlike older versions of this product, you do not need a qualified technician or electrician to install the POWERGARD. Simply plug it into a wall outlet and turn it on. Can POWERGARD be used in other countries with different voltage? Yes. Energy$aver™ can be used in other countries that have an electrical supply of 110 to 130 Volts AC or 220 to 240 Volts AC, and 50-60Hz. We have all the plug adapters for each country. How many units would customers require? For any normal apartment or house, with a single phase service, you just need to install one unit. It has a planned life span of up to 10 years. Why haven’t I heard of this product until now? First, this generation of product is new to the market. Also, until recently, electric rates throughout America were low, costing about 2, 3 or 4 cents per kilowatt-hour. Now, rising electric rates are 8, 10, 12, 14, and 19 and in some cases New York City is 22 cents per Kwh, and Hawaii is 33.5 cents per Kwh. At lower rates, interest in POWERGARD was poor, but at the current high rates, and growing concern for environment, there is a renewed interest in energy conservation and the POWERGARD.